Ronald F. Phillips served in the Texas National Guard from 1952 to 1958, being in the 36th Infantry Division, 131 Field Artillery Battalion, United States Army. MALIBU, CA, October 11, 2018 — Marquis Who's Who, the world's premier publisher of biographical profiles, is proud to present Ronald F. Phillips, JD, with the Albert Nelson Marquis Lifetime Achievement Award. An accomplished listee, Mr. Phillips celebrates many years' experience in his professional network, and has been noted for achievements, leadership qualities, and the credentials and successes he has accrued in his field. As in all Marquis Who's Who biographical volumes, individuals profiled are selected on the basis of current reference value. Factors such as position, noteworthy accomplishments, visibility, and prominence in a field are all taken into account during the selection process. Mr. Phillips is the founding full-time dean of Pepperdine University School of Law in Malibu, CA. Serving as dean for 27 years, he was recognized as dean emeritus in June 1997, at which time he took on the role of vice chancellor full-time working with alumni and friends seeking support for the law school and university. Prior to his career at Pepperdine, he spent three years as an adjunct faculty member at Abilene Christian University. 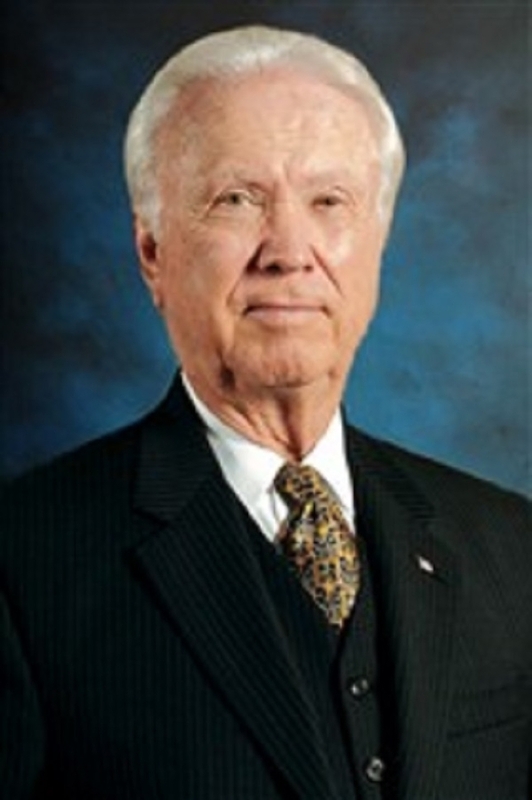 Before entering academia, Mr. Phillips established his own private practice in Abilene from 1967 to 1970 and was a corporate staff attorney with McWood Corporation in Abilene, and its successor, Permian Corporation, a subsidiary of Occidental Petroleum from 1965 to 1967. He also worked in sales with Security Saving Stamps and Western National Life Insurance Company from 1957 to 1958 and as a building contractor with Phillips Homes Inc. from 1955 to 1956. While working as branch manager of Frank J. Phillips Weatherstripping Company in Midland, Texas early on in his career, Mr. Phillips decided to further his education at the University of Texas and earn a law degree while continuing with his job. Already eight years out of college with a wife and two children, he had a goal of owning his own law firm and teaching at Abilene Christian University, his alma mater. Not only was he able to complete law school and establish his own firm, but his former business law professor at the college contacted him because he was retiring and wanted him to take over at Abilene Christian University. As a result, both of his dreams had come true. A longstanding member of the Texas and California Bar Associations, the American Bar Association, the Los Angeles Bar Association, the Association of American Law Schools, where he served as Chair of the section on the Administration of Law Schools in 1982, and the Christian Legal Society, Mr. Phillips is also a lifetime member of the American Law Institute and lifetime fellow of the American Bar Foundation. He served as a California commissioner on the National Conference of Commissioners on Uniform Sate Laws from 1988 to 2003, was on the Committee on Courts from 1985 to 1987 with the Association of American Law Schools, served as a guest lecturer at Jones Law School in 1997 and served in various other roles throughout his career. Likewise, Mr. Phillips has contributed scholarly articles to professional journals in his area of expertise. Mr. Phillips earned his undergraduate degree in 1955 from Abilene Christian University where he was a member of the Alpha Chi Honor Society, A Cappella Chorus and Men's Glee Club He holds a Doctor of Jurisprudence from the University of Texas earned in 1965 and was awarded the American Jurisprudence Prizes for Excellence in Brief Writing and Oral Advocacy, and in Office Practice. He has since been admitted to the Supreme Court of the United States and the U.S. Court of Military Appeals. In 2009, he was awarded an honorary Doctor of Laws by Dubna International University in Moscow. Mr. Phillips also holds several other awards, including a 2011 Robert H. Jackson Award from the School of Law at Pepperdine University, and the 1974 Distinguished Alumni Citation from Abilene Christian University. In his free time, he writes music, providing lyrics to all of his work, and melodies for many of his songs. For those that he doesn't, his producer, instrumentalist and arranger, Dee Briggs, provides the melody. Mr. Phillips has put out a CD every year for the past 15 years or so. Sending them to friends and associates as gifts, each disc includes anywhere from 13-20 songs. Mr. Phillips served in the Texas National Guard from 1952 to 1958, being in the 36th Infantry Division, 131 Field Artillery Battalion, United States Army. Also known for serving his local community, Mr. Phillips coached youth soccer in Huntington Beach, Westlake Village and Malibu for many years, managed and coached little league baseball in Abilene, Huntington Beach and Malibu, coached Jr. All American Football in Huntington Beach, youth basketball in Huntington Beach and Malibu, was an elder at Malibu Church of Christ, deacon at Highland Church of Christ in Abilene, and deacon at North A and Tennessee Church of Christ in Midland, Texas. Married to Jamie Jo Bottoms for 39 years until her passing in 1997, he has three children, seven grandchildren and two great-grandchildren, with whom he loves spending time. In recognition of outstanding contributions to his profession and the Marquis Who's Who community, Ronald F. Phillips, JD, has been featured on the Albert Nelson Marquis Lifetime Achievement website. Please visit www.ltachievers.com for more information about this honor.